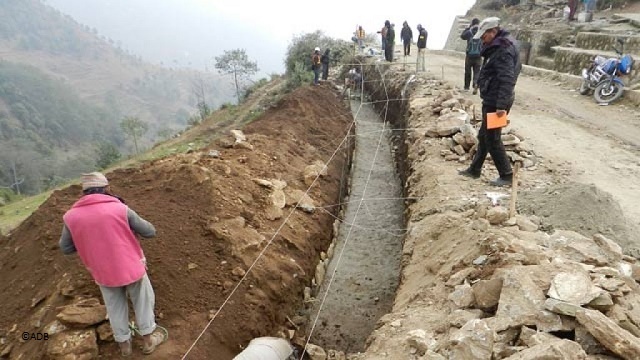 The broad-gauge railway line on the new Indo-Nepal railway route running from Janakpur (India) to Kurtha (Nepal) has been laid down, according to Mr. Aman Chitrakar, Senior Engineer, Department of Railways, Government of Nepal. The Government of India supported construction of the 35 kilometer-long railway route. Building of railway stations, terminal buildings, bridges and culverts along the route is approaching completion. Nepal's third country imports is growing with more importers tapping railway cargo for transport, according to data from Nepal's Dry Port Customs Office. The Sirsiya Dry Port in Birgunj accommodated 25% more import cargo in Fiscal Year 2017-2018. The Sirsiya Dry Port is close to the Indian border, with links to the Raxaul railway junction. It is the first and only rail-linked terminal in Nepal that facilitates third-country trade through India. The 6th Meeting of India-Nepal Oversight Mechanism reviewed progress of ongoing bilateral projects between India and Nepal. This included cross-border rail projects, integrated check posts, Terai roads project, cross-border transmission lines, and the Arun-III hydropower project. The Meeting discussed measures to be undertaken by specific Government agencies to achieve early or on-time completion of projects within the specified time frame. The Governments of India and Nepal convened the 6th Meeting of the Project Steering Committee for the Implementation of India-Nepal Cross Border Rail Link Projects. The Meeting highlighted the early finalization of the Memorandum of Understanding for the preliminary engineering/traffic survey of the Raxaul (India)-Kathmandu (Nepal) rail line. Around 375 oil tankers bringing in fuel to Nepal from Indian Oil Corporation depots in Gonda in Uttar Pradesh, and Banthara, to the Nepalgunj and Bhairawa border points will be required to install a security locking system to eliminate pilferage in transit, shared Nepal Oil Corporation spokesperson Mr. Birendra Kumar Goit. The Government of Nepal is aiming to finalize the transshipment modality with the Government of India for its third country trade. It will be part of the agenda in the upcoming Intergovernmental Committee (IGC) meeting in April in Pokhara, Nepal, headed by India and Nepal commerce secretaries. The Kolkata Port Trust is working to increase the port’s capacity, ease congestion, and reduce paperwork requirements for traders. The port, which handles most of Nepal’s third-country trade, is improving its physical infrastructure and cargo handling system. The Government of India has appointed a contractor to build the integrated check post (ICP) in Nepalgunj, Nepal, on the India-Nepal border. Timeline set for building and completion is two years. 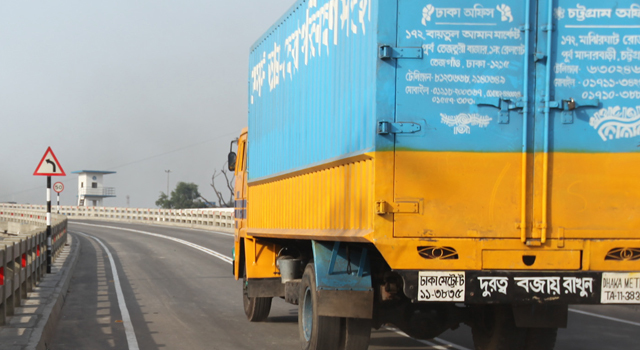 The ICP on the Nepalgunj-Rupaidiha (India) border would facilitate improved cross-border connectivity. The World Trade Organization (WTO) Trade Facilitation Agreement (TFA) is getting closer to coming into force after Mr. Deepak Dhital, Nepal’s Ambassador to the WTO, submitted his country’s instrument of acceptance to WTO Director-General Roberto Azevêdo on 24 January 2017. Nepal is the 14th least developed country to ratify the TFA, which is expected to help reduce trade costs for WTO member countries. Nepal’s Parliament ratified the World Trade Organization (WTO) Trade Facilitation Agreement (TFA) on 13 January 2017, drawing up the instrument of acceptance for the WTO TFA, whose implementation will help expand trade and attract foreign direct investment in Nepal by increasing transparency and effectiveness of the trading process. Transboundary rivers between India and Nepal have huge hydropower and irrigation potential. Developing these rivers can become an engine for regional development, alleviating poverty for millions of people within a reasonable timeframe. With improved relations between Bangladesh, Bhutan, India and Nepal, formulating and implementing sustainable plans to manage these rivers presents a significant win-win opportunity for the subregion. The National Academy of Customs, Excise and Narcotics (NACEN) held a capacity-building program for 35 Customs Officers from Nepal. The 5-day program discussed various Customs-related topics, including Customs valuation; World Trade Organization provisions; Customs reform; and use of risk management. The Nepal Parliament ratified the Protocol of Amendments to the International Convention on the Simplification and Harmonization of Customs Procedure (Revised Kyoto Convention) on 9 September 2016, tabled by Mr. Krishna Bahadur Mahara, Nepal Deputy Prime Minister and Finance Minister. The ratification is expected to boost the capacity of Nepal Customs to facilitate trade. Mr. Nitin Gadkari, Road Transport and Shipping Minister, India, led the inauguration of the Varanasi-Haldia inland waterway route, laying the foundation stone for an inland waterway terminal, and flagging off a trial run of two cargo vessels from Varanasi to Haldia Port near Kolkata, a route that touches Nepal’s two major rivers—Koshi and Gandaki. Nepal private sector representatives, including members of the Nepalese Chambers of Commerce and Industry, the Nepal Freight Forwarders' Association, and India port authorities from Kolkata and Visakhapatnam, met to discuss measures needed to bring India's Visakhapatnam Port into full-fledged operation for Nepal's third country trade, and simplifying clearing processes for Nepal-bound cargoes. Freight forwarders in Nepal have urged early operationalization of the Vizag Port in India as an alternative port for Nepal trade. According to the Nepal Freight Forwarders Association, ocean freight costs, Customs house agent charges, and other logistic costs can be reduced by directing trade through Vizag Port. The Asian Development Bank has approved a $500-million loan to build a bridge across the Ganges River that will link India and Nepal. The 9.8-kilometer bridge will be India’s longest river bridge and will help people move between jobs and markets. It is projected to benefit 9 million people, especially those in poorer communities. Cargo bound for Nepal was flagged off symbolically from Visakhapatnam Port in India on 24 June 2016, signaling to traders that the port is ready to facilitate exports and imports as Nepal's second gateway port. A delegation from Nepal is in Visakhapatnam to see through implementation of the agreement and discuss modalities of cargo transit with Customs officials from India. Nepal's private sector stakeholders are seeking a dedicated railway line from Nepal to Indian sea ports, including the Visakhapatnam Port, to reduce the cost of trade in the country. 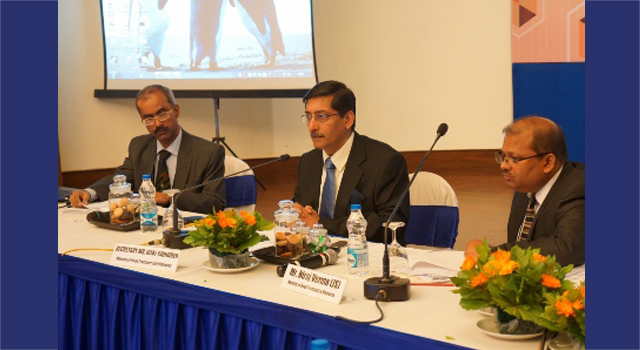 Mr. Rajan Sharma, Transport and Transit Committee Chair of the Federation of Nepalese Chambers of Commerce and Industry, noted that direct access to India's Visakhapatnam Port could bring transformational changes to Nepal's economy. The Government of Nepal has streamlined the Nepal Trade Integration Strategy's (NTIS) list of high value goods and services with export potential, reducing the items from 19 to 12, to promote competitiveness and increase production capacity. According to Nepal Commerce Minister Jayanta Chand, the revised NTIS will allow the Government to focus on enhancing the supply chain. International Customs Day is observed in honor of the establishment of the World Customs Organization, an independent intergovernmental body, on 26 January 1952. Nepal Department of Customs shares the week-long program planned in Nepal to mark the occasion. A proposed meeting of SAARC Transport Ministers in Kathmandu, Nepal aims to discuss the SAARC Motor Vehicle Agreement and SAARC Regional Railway Agreement, ahead of the 19th SAARC Summit to be held in the latter part of 2016 in Pakistan. The proposed regional transit agreements aim to promote transport connectivity in the region, and to enhance regional economic cooperation and integration. A friendship bus service between India and Nepal was re-launched on 4 January 2016, after a gap of 27 years. No special documents are necessary to travel in these buses. Locals with family and trade ties in both countries, who regularly travel this route on a daily basis met the news with much enthusiasm. Officials from India assured Nepal Deputy Prime Minister and Foreign Minister Kamal Thapa of increased supplies of essential goods from India. Minister Thapa went on a 3-day visit to New Delhi, where he met with India Prime Minister Narendra Modi, External Affairs Minister Sushma Swaraj, and Home Minister Rajnath Singh. The newly-constructed Koshi Bridge, inaugurated by Nepal Prime Minister Sushil Koirala on 3 August 2015, improves road connectivity and restores economic activities in the eastern region of Nepal. The bridge provides an alternate route and improves mobility, creating new opportunities for growth. It was constructed with financial assistance from the Asian Development Bank. The India-Nepal Cross Border Transport Facilitation Joint Working Group under the bilateral Motor Vehicle Agreement discussed measures to facilitate movement of passenger vehicles across the India-Nepal border. Key recommendations include a web-based solution to issue, monitor, and verify permits, and four new bus routes between India and Nepal. The Government of Nepal unveiled a number of infrastructure projects for transport and energy in its budget for fiscal year 2015-2016 to further boost the country's economic growth. Planned road projects include development of six-lane trade roads and an alternate link road to Kathmandu. The Government is also prioritizing development of airports. Nepal's SAARC neighbors, friendly countries and development partners have pledged a total of $4.4 billion in the International Conference on Nepal's Reconstruction to help the country in its rebuilding and reconstruction efforts in the aftermath of the recent devastating earthquake. India pledged aid amounting to $1 billion. The Asian Development Bank also announced its readiness to provide up to $400 million in further assistance, bringing its total pledge to $600 million. More than 170 tons of relief goods was sent by India to Nepal using the rail route from Old Delhi to Raxaul, in response to the earthquake in Nepal. Senior officials of India's National Disaster Management Authority supervised this relief effort. India's West Bengal Government also gave assistance by coordinating needed relief items with the Government of Nepal and the Nepal Army. The President of Asian Development Bank conveys deepest sympathies to the people of Nepal following the devastating earthquake of 25 April 2015. Nepal is currently in an advanced stage of acceding to the Revised Kyoto Convention (RKC) through submission of its Instrument of Accession to the World Customs Organization. In support of Nepal’s accession and future implementation of the provisions of the RKC, a Nepali-language translation has been published under the ADB-financed SASEC Trade Facilitation Program and launched during the 63rd International Customs Day on 26 January 2015. The Asian Development Bank (ADB) recognized exemplary project implementation of five best-performing projects on 18 January 2015, naming the Subregional Transport Enhancement Project (STEP), a South Asia Subregional Economic Cooperation (SASEC) project in Nepal, Best in Safeguard Monitoring. The Department of Customs of Nepal and the United Nations Conference on Trade and Development (UNCTAD) have concluded the negotiations for Nepal's adoption of the Automated System for Customs Data (ASYCUDA) World in November 2014. 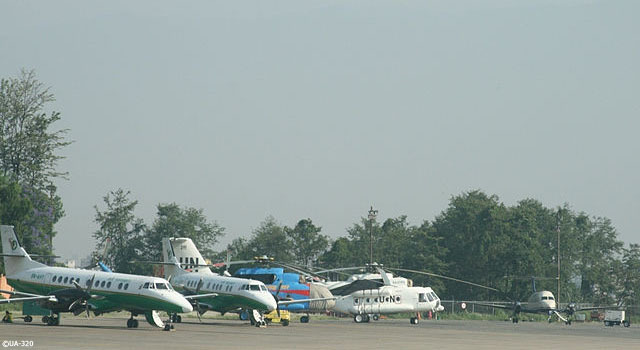 Direct flights between Nepal and Sri Lanka—through capital cities Kathmandu and Colombo—are scheduled to resume in early 2015. This move is expected to boost connectivity, further increasing trade and tourism between the two countries. The Government of Nepal has requested financing from the Government of India for construction of bridges across the Terai as part of the second phase of a road project linking the East-West Highway to several border points. Around 62 bridges are required for the project. As part of India’s SASEC Road Connectivity Investment Program, India and Nepal have set up a Joint Technical Task Force for the Mechi River Crossing. The first meeting was held in New Delhi on 4 July 2014 at the Ministry of Road Transport and Highway, Government of India.